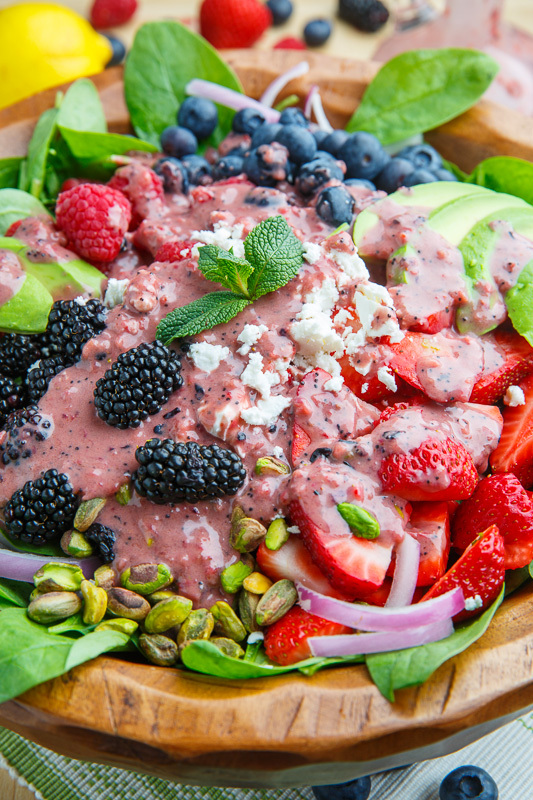 A summery berry spinach salad with avocado, pistachios and feta in a creamy greek yogurt berry and poppy seed dressing! Are you ready for another light and refreshing summer salad? 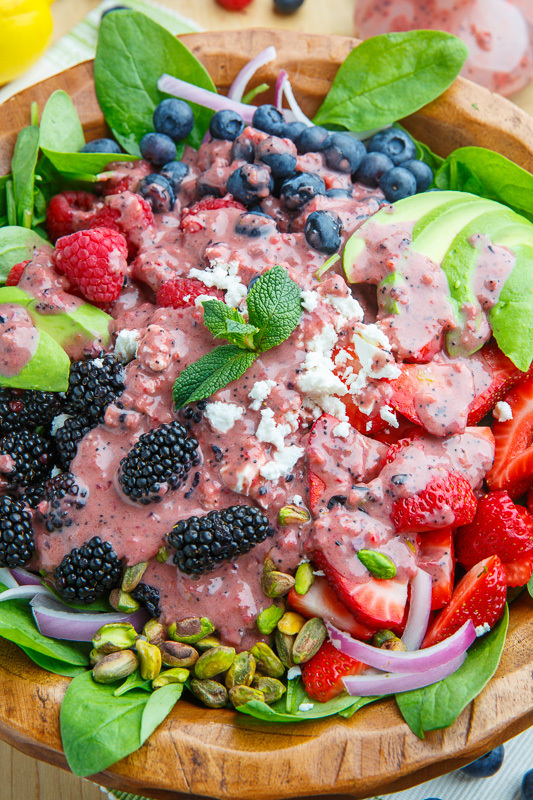 How about this berry and avocado spinach salad with feta and pistachios in a creamy berry poppy seed dressing? 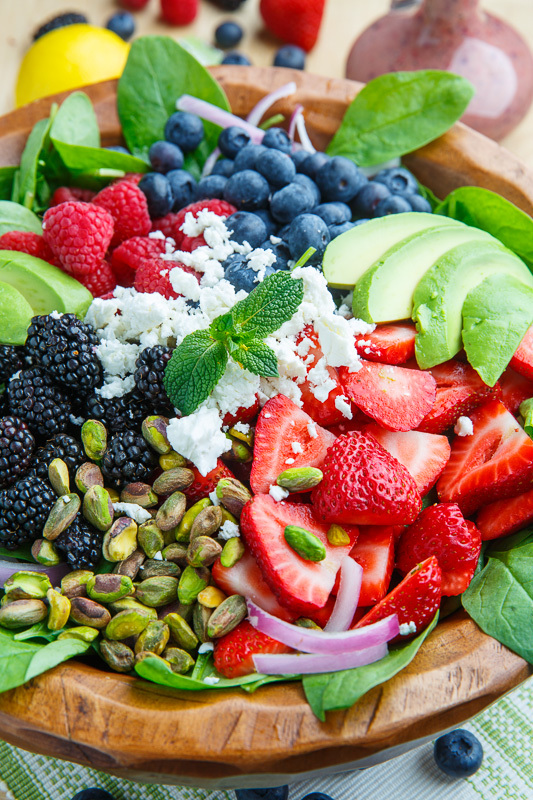 With no less than four berries this salad just screams summer! 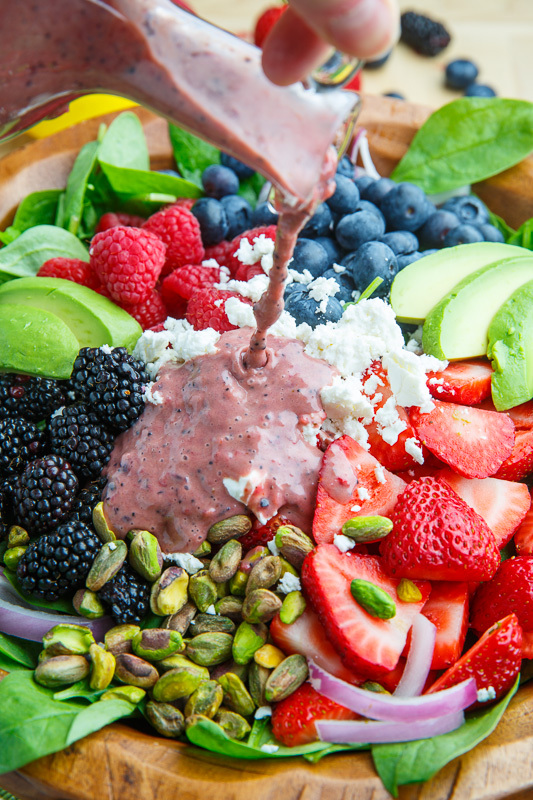 The combination of strawberries, blueberries, raspberries and black berries is phenomenal and it only gets better with avocado, feta and pistachios! 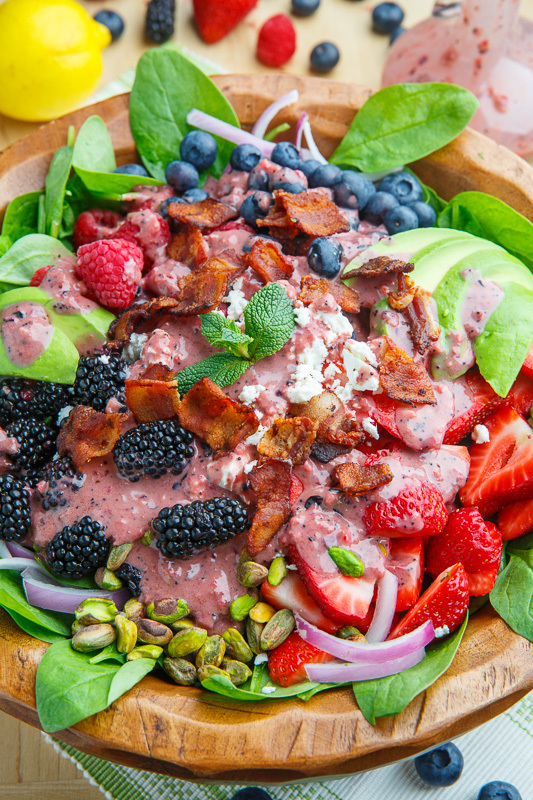 Just when you were thinking that this salad could not get any better, how about topping it with a creamy berry poppy seed dressing for even more berry goodness? Add bacon if your heart so desires! Option: Add chopped basil and/or mint. Such a beautiful looking salad!! I'm always ready for one of your salads! This salad looks so good and so filling! 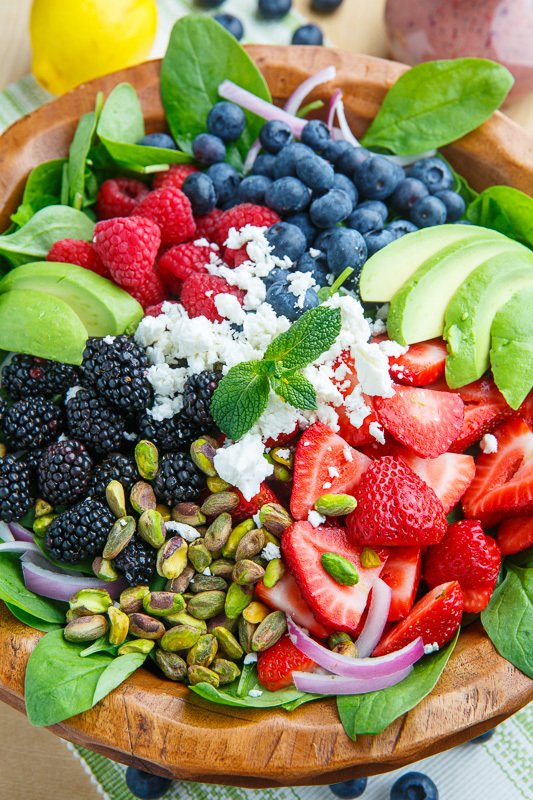 This looks like summer in a bowl…beautiful! love your recipes they are unusual lots of veggies and very good!!! Looks so refreshing, plus so colorful and with such an interesting mix of flavors and textures! Love the dressing too. Bravo!! !